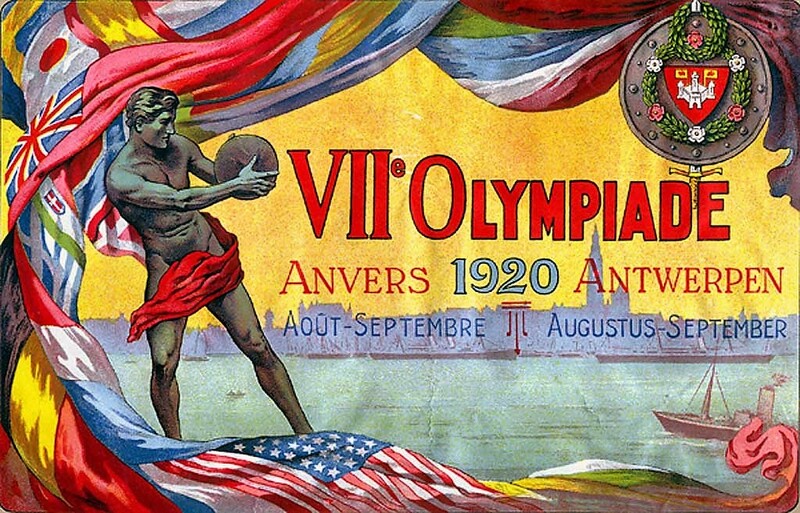 After a meeting between Belgian Olympic officials and ISU President Viktor Balck, a general program written in both English and French was distributed to each of the member federations of the International Skating Union in January 1920, inviting them to send figure skaters to compete in the 1920 Summer Olympic Games. 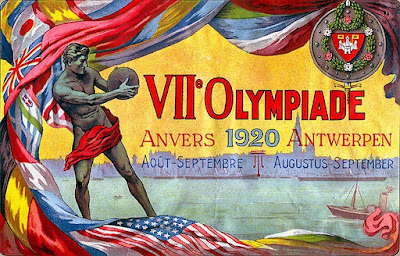 The exceptions were Germany, Austria, Hungary and other AXIS countries from World War I, who were not permitted to participate by Olympic organizers. This communication was vague at best, specifying only that competitions would be held in men's and women's singles skating and pairs skating and that each country could send a maximum of six entries. Ultimately, twenty six skaters from eight nations made their way to Belgium over the course of the following months to compete at the Games in Antwerp. The American team was organized by Cornelius Fellowes, a hockey man affiliated with the International Skating Union of America. Fellowes first asked Sherwin Badger, the reigning U.S. men's champion, to make the trek to Europe. He declined due to his studies at Harvard University. Fellowes then asked Bostonians Nathaniel Niles and Theresa Weld Blanchard, who re-arranged their affairs on short notice and accepted the offer. Weld Blanchard left with Mr. and Mrs. Niles, Mr. and Mrs. Fellowes and the American hockey team on April 7, 1920 on the S.S. Finland sailing directly from New York to Belgium. Fellowes (who acted as Team Manager for both the figure skaters and hockey players) recalled, "Everyone in the party had the very best of accommodations on shipboard." Weld Blanchard remarked, "The voyage was very slow, thirteen days, and some anxiety was felt that the teams would not reach Antwerp in time, but two days out a wireless was received saying events had been postponed five days to allow our teams to arrive and have some little chance for practice." The Americans were met at the docks in Antwerp by officials from Belgian Olympic Committee and taken directly to the Palais de Glace d'Anvers, constructed on Rue de la Santé specifically for the Games. Skating historian Gunnar Bang noted, "What struck the strangers [to Belgium] most was the extremely good ice." However, Weld Blanchard and Niles found the rink so crowded that they opted to practice in Brussels during the daytime and return by train to the Antwerp rink in the evenings to scope out their competition and be seen in front of the judges. The 'big story' surrounding the figure skating events in Antwerp was thirty three year old Ulrich Salchow's comeback. The 1908 Olympic Gold Medallist and ten time World Champion hadn't competed since before the War but he had been spotted on the ice unusually often in Stockholm in the months leading up to his departure to Belgium. Two other Scandinavian skaters expected to make an impact at the Games, Ludowika and Walter Jakobsson, arrived a few weeks before the figure skating competition to practice every morning and afternoon at the Palais de Glace d'Anvers. Many Belgians flocked to see the talented pair skate in warm spring weather as it was a novelty. They made quite the sharp looking pair - he dressed in slacks, long socks and a sweater, white starched shirt and tie and her in an ankle length black dress and a smart jeweled black hat with a feathered spray. The decision to hold the women's event on April 24, 1920 prior to the men's and pairs events was actually based on the chivalric 'ladies first' custom. Magda (Mauroy) Julin, the wife of a Swedish sea captain fifteen years her senior, took a strong lead in the figures ahead of her teammate Svea Norén, Great Britain's Phyllis Johnson, Norway's Margot Moe and Theresa Weld Blanchard. In last place was a second Norwegian woman, Ingrid Gulbrandsen, at age twenty the youngest of the figure skaters in Antwerp. Magda Julin had to change her free skate music at the eleventh hour. She initially planned to skate to Strauss' "Blue Danube" but she was advised against skating to the iconic Viennese waltz due to the widespread anti-German/Austrian sentiments at the time. Weld Blanchard won the free skate, with Julin only fourth, but caused some controversy by performing the Salchow and loop jumps in her program. She was told some judges marked her down as a result as jumps were considered "unsuitable for a lady" because her skirt flew up to her knees. Gunnar Bang described it as "a rather bold program." Julin took the gold medal with no first place marks. The British judge voted for Johnson, the Swedish judge for Norén and the Norwegian judge had Moe and Gulbrandsen - who finished fifth and sixth - first and second. The Belgian judge voted for Weld Blanchard and the French judge had Norén and Weld Blanchard in a tie. Julin's win (by only point five of a placing) came on the basis of three second place ordinals. 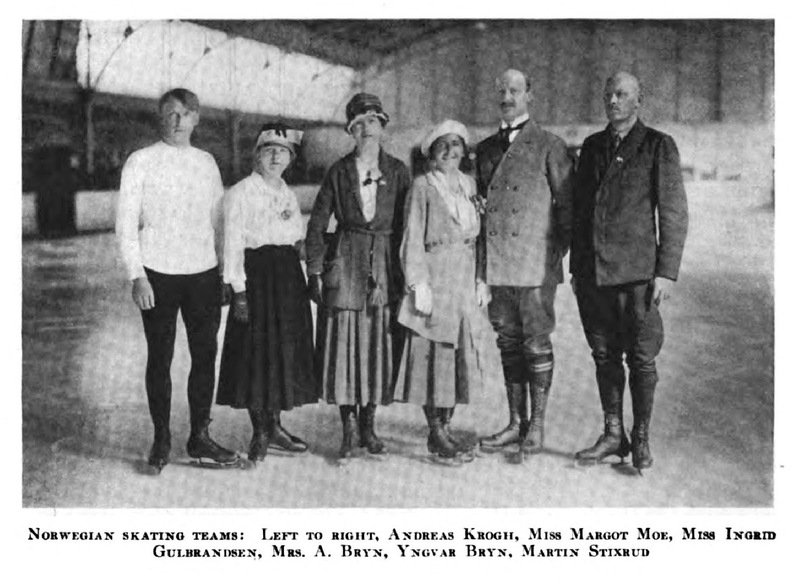 Skating historian Benjamin Wright noted, "The ISU distanced itself from any participation in the figure skating events of the Games, other than to provide the schedule and rules pursuant to which the events were to be held... The day after the ladies event, a re-tabulation of the marks showed that Theresa Weld had in fact earned more points than Svea Norén of Sweden, and deserved the silver medal. The judges had approximated her points and awarded ordinals and the medals accordingly. A protest was never made and the results stood as originally announced. It was a commentary on the fact that the ISU did not participate in the conducting of the events." However controversial the results of the women's event in Antwerp, the most remarkable fact was that Magda Julin was pregnant at the time of her win. Women's scoring from Antwerp. Courtesy "Official Rules For Ice Hockey, Speed Skating, Figure Skating And Curling", Spalding's Athletic Library. The pairs competition, held on April 26, 1920, was won by Ludowika and Walter Jakobsson by a landslide. Sakari Ilmanen wrote of their performance, "They did not have many moments on the ice when you realized that they were not in a great mood for ice skating. Not a trace of the competition fever... jumps and turns succeeded perfectly, the skating was punctual and full presentation of the music. It was ice skating which received enthusiasm [from] the audience. Almost incessantly throughout the skating time, they showed tumultuous applause." Norwegians Alexia and Yngvar Bryn were decisively second and Phyllis (Squire) Johnson and Basil Williams defeated Weld Blanchard and Niles for the bronze by only three point five ordinal placings. 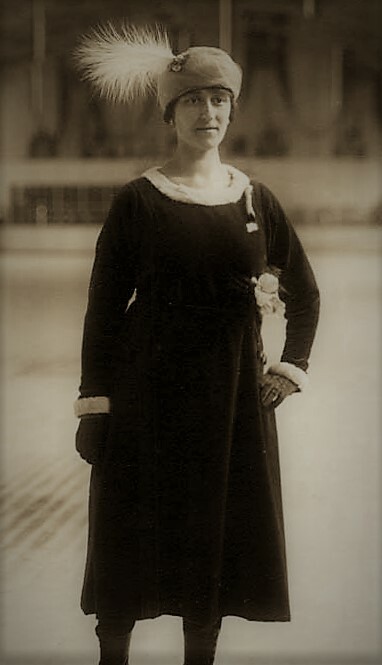 Johnson, who had won the silver in 1908 with her husband James, became the first figure skater in history to win more than one Olympic medal. The three day men's competition commenced on April 26, 1920 and ended on April 28, 1920 with the free skating event. The event was spread over three days because initially there were to have been thirteen entries before skaters from France and Italy withdrew. The intense rivalry between Swedes Ulrich Salchow and Gillis Grafström lended an added air of solemnity to the school figures. Gunnar Bang recalled that "Salchow, who usually tended to have a good humour and [converse with] the judges, was silent.... Grafström's mood was very solemn and his nerves anything but stable." After the figures were skated, Grafström had amassed a healthy lead over his more experienced teammate. According to the French newspaper "La Vie au grand air", Grafström was "really magnificient with great variation" in his free skating performance but Norway's Andreas Krogh made "great effect with his jumps of unparalleled audacity". Ultimately, Grafström won the event unanimously and Krogh settled for silver. Forty four year old Martin Stixrud of Norway took the bronze, becoming the second oldest male figure skater in history to win an Olympic medal. Salchow struggled so much in his free skate that judges from Norway and Finland had him as low as fifth overall. Legend goes that he fell on his own Salchow jump. 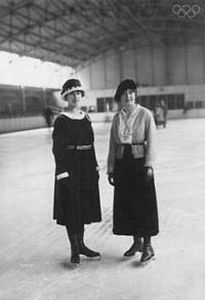 On April 29, 1920, Magda Julin, the Jakobssons and Gillis Grafström repeated their winning free skating programs at the Palais de Glace d'Anvers in something of a gala and prizes were given out by Count Henri de Baillet-Latour.. The four skaters comprised the only the Scandinavian sweep of gold medals in figure skating at the Olympic Games. A reception was held upstairs in the rink where speeches were made by representatives of each country. Theresa Weld Blanchard recalled, "After refreshments were served people discussed together the various styles of skating as shown by the different competitors. All were tremendously interested in the United States skaters and were most kind to them." There were dinners for skating officials at the Grand Hôtel and Swedish skaters attended a free banquet at the Zoological Gardens thrown by Harald Petri, the Consul General of Sweden. There were no television cameras and commentators. No one live tweeted the competition. An expert technical panel didn't dissect the skater's elements and no one landed a quadruple jump. Times were different, but the achievements of these pioneering athletes who competed at the Olympics in April of 1920 deserve not only attention... but absolute respect.